Only pay per click, purchase is made out of the 78% of people who search locally through their phone, and attract customers that should've been yours in the first place; sounds good doesn't it? How about we make them sound even better by turning them into realities? We couldn't stress this enough but we've got the skills - use us! 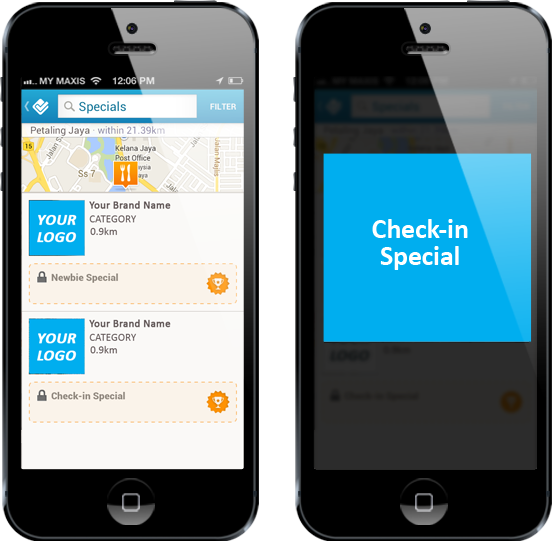 From Foursquare Specials to Foursquare Page to Foursquare Plugins to Badges; we've got the expertise to fully utilize all these functions. All you have to do is ask. Square enough?